Welcome to the Spring 2018 semester! I hope you are all getting snugly settled back into your classrooms this week. What’s that? You’re not happy to be back? You were just falling asleep in class? You’re sneaking out of the classroom as we speak? It’s a common experience after a long vacation. We enjoy ourselves, relish in the late mornings, indulge in huge volumes of precious sleep and delicious food, and suddenly it’s the Sunday before classes start and we silently scream, dreading the coming months of sleep deprivation and essentially starving ourselves to plug in hours of last-minute work. And waking up early? Yeah, no. Whether this was your first go at a 5-week winter break or the 5th, it is never easy to readjust after the time off. For a lot of us this first week was a shock on our bodies, and that’s okay for a time. But no one wants to be drained of life for months on end, so here are a few techniques to get yourself back into the swing of college life this semester. Take it slow at first (even if your classes don’t). If your typical days during break were like mine (doing literally nothing for hours on end), forcing yourself to fill in those hours with concentrated work will be difficult, frustrating, and pretty unproductive. So, for these first few weeks back make it a priority to focus on one assignment at a time and provide yourself some break time in between. Keep doing what you enjoy. Did you read a lot of novels during break? Or watch lots of telenovelas? Drink a bunch of fancy coffee? Live on Instagram? Whatever you did to fill in your extended free time, keep on doing it. Depriving yourself of the things you enjoy in order to finish work may make you develop some pretty negative feelings about school in general. It doesn’t have to be one way or the other: incorporate your favorite activity, whether it’s drawing or coffee-tasting or TV-watching, into those regular breaks mentioned above. Take time to unwind (a.k.a. don’t overload your schedule!). I had to learn this the hard way. After scheduling work shifts after my classes every single day last week, I made myself ready to throw in the towel before week 1 was even done. So I say very emphatically: take it easy on your schedule the first week coming back. Give yourself some time off to reflect and let it sink in that school has returned yet again. Even if you can’t work out getting time off of work or school, consider taking a few minutes before bed or in the morning to practice some decent meditation or relaxation. Come on, you know you deserve it! Eat breakfast, for goodness sake! Breakfast is always termed “the most important meal of the day”, but it is also easily the most skipped meal of the day. It is super important to include lots of protein, fiber, and vitamins and minerals at the start of our day to get your body and mind kick-started and ready to take on the day’s challenges. No time in the morning? 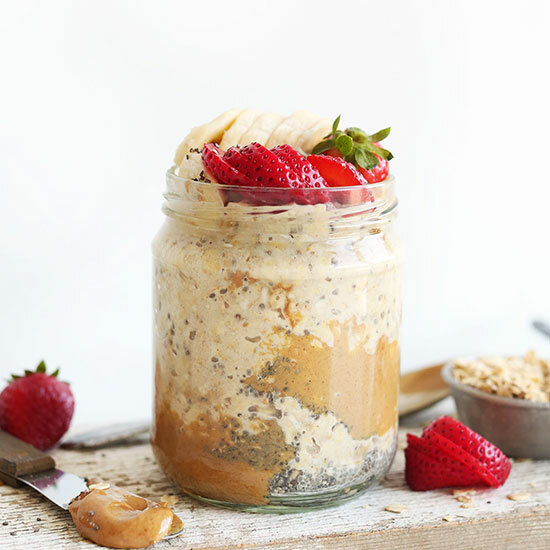 Make some time by prepping ahead: whip up some beautiful overnight oats (you can find my favorite recipe here) or cook up hardboiled eggs the night before to enjoy with whole fruit in the morning. The quick-fix breakfast possibilities are truly endless. Put your health first. It may have been way easier to maintain your health and fitness routine during the break, but it’s not time to drop your healthy habits just because school is back in session. Don’t glue yourself to that desk; take walking breaks to boost your blood flow. Don’t drown yourself in those energy drinks (though I admit they do look pretty good…); grab wholesome forms of energy like a banana, or sip some green tea for a caffeine boost. Check out all these other helpful tips for staying healthy with a busy lifestyle. Good luck with your studies this semester; only 15 weeks until summer! 6. 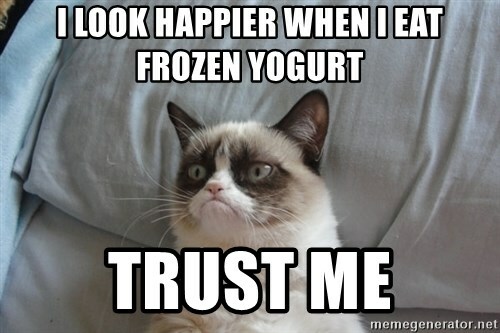 Come to the first SNDA meeting of the year this Monday, January 26 in BHS 132 and buy some yummy frozen yogurt! What better way to get readjusted to school than with frozen yogurt?? There is none. Next postUgly Produce: What do you think?